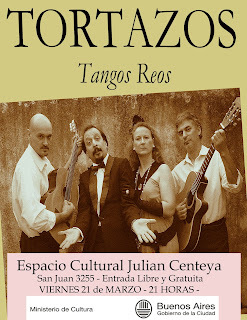 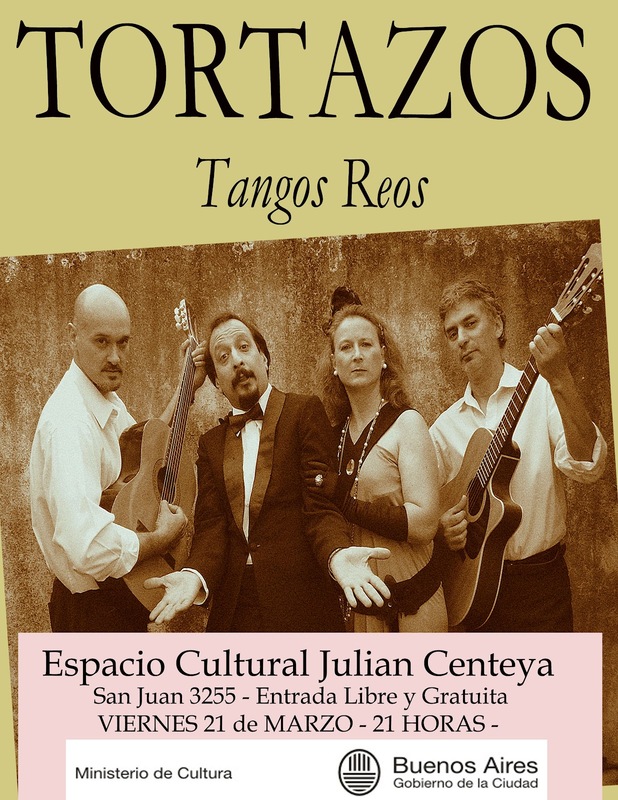 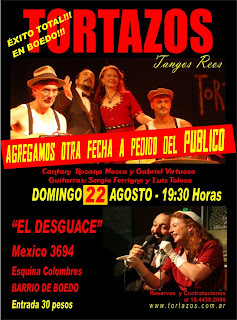 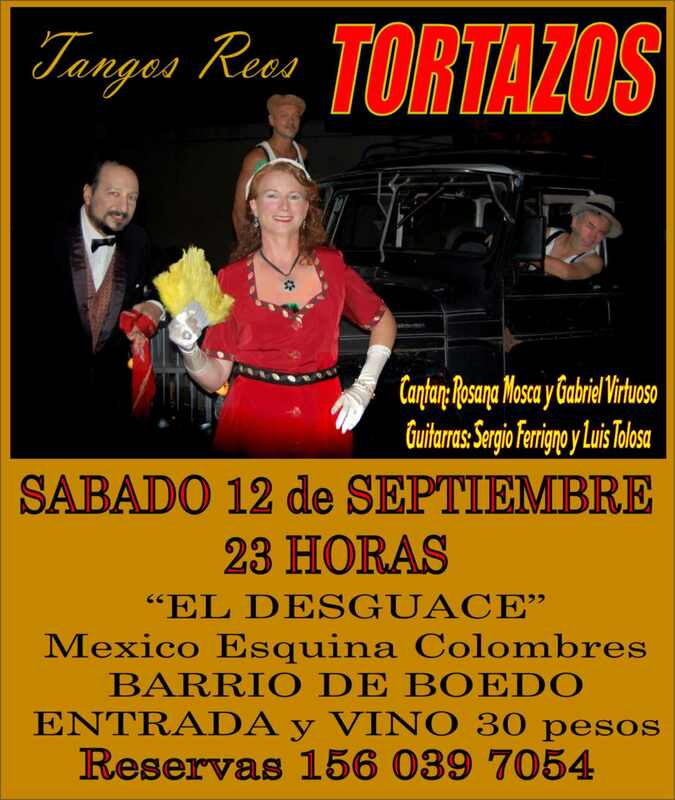 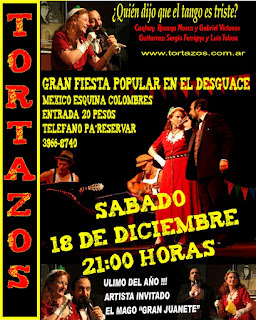 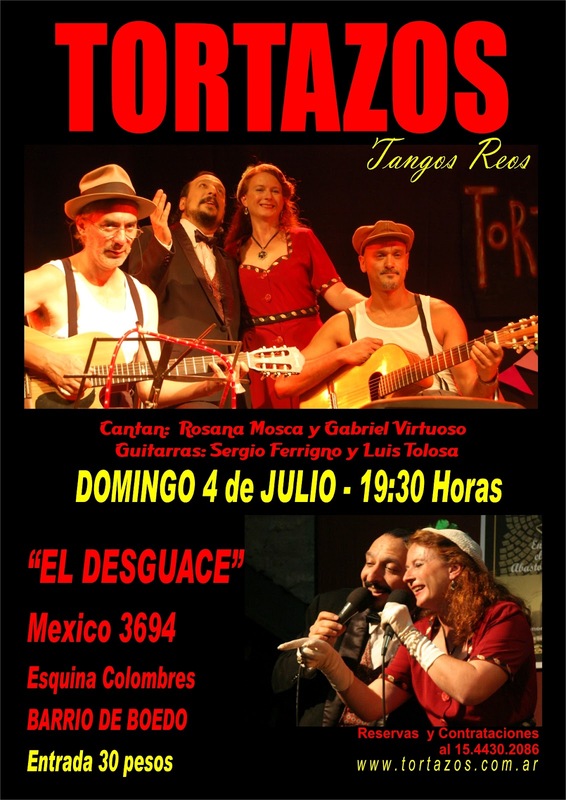 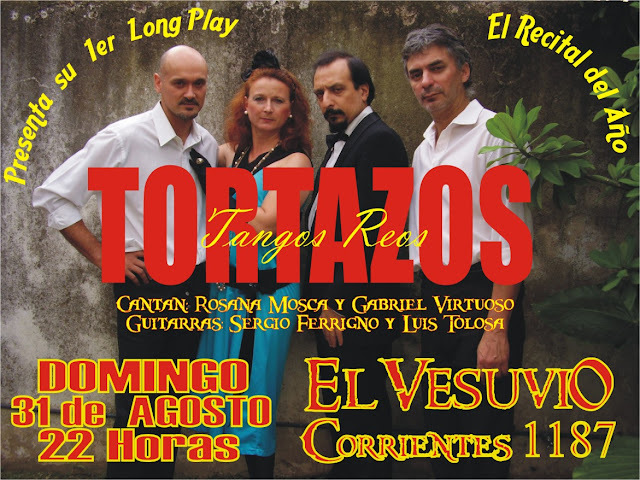 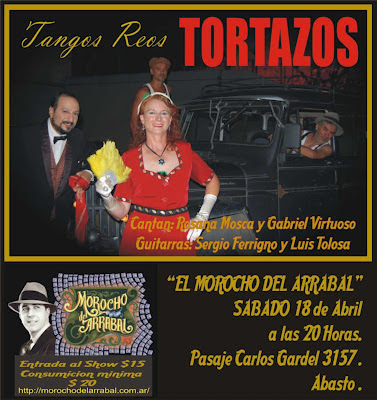 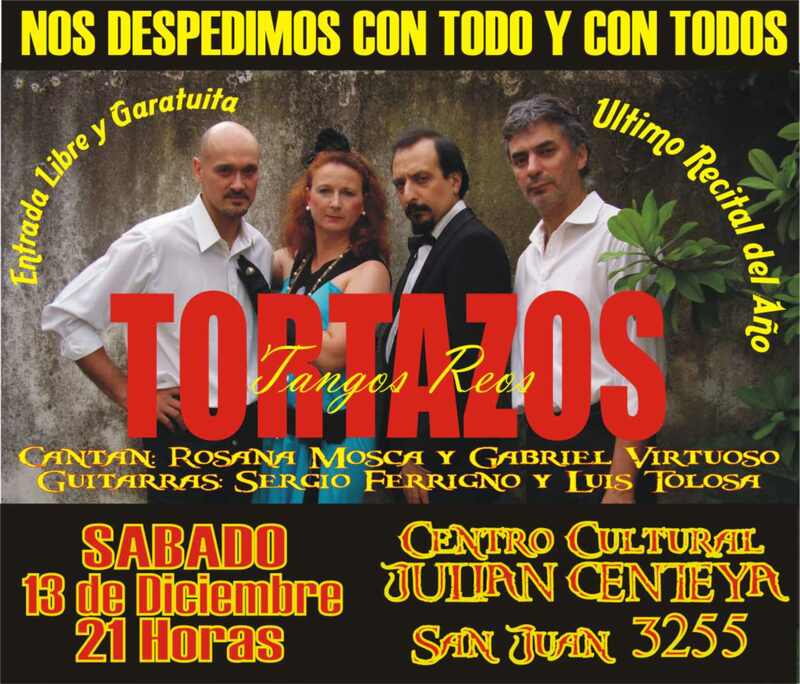 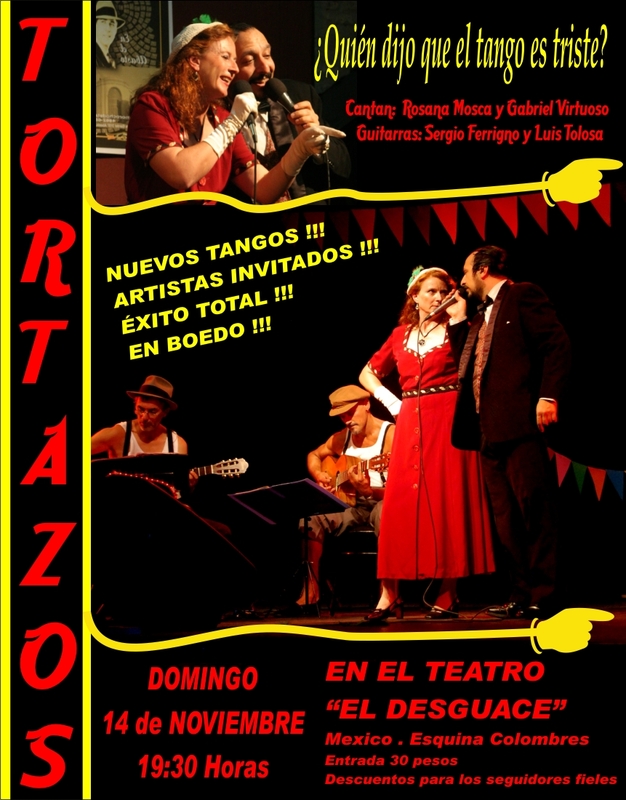 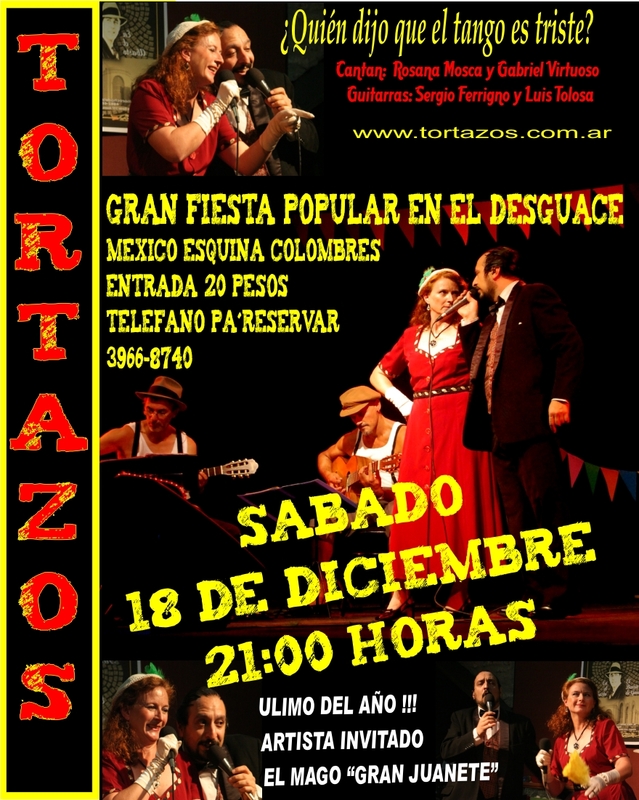 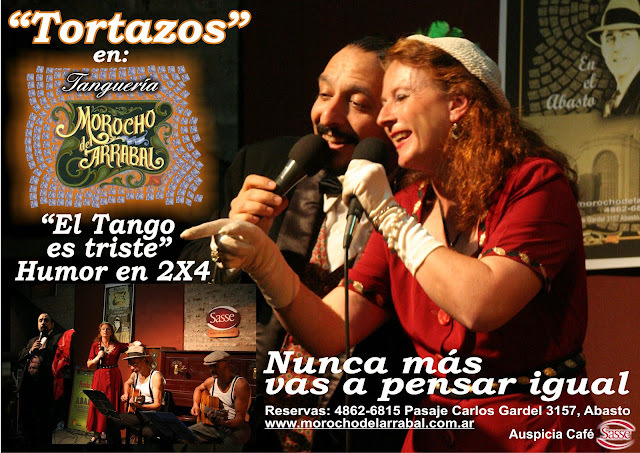 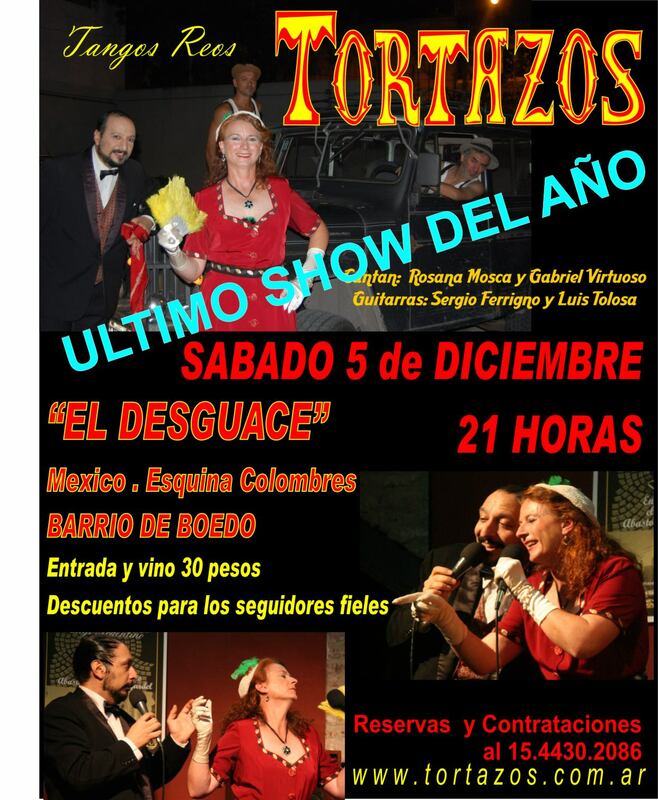 TORTAZOS tangos reos: AFICHES DE TORTAZOS A LO LARGO DE LA HISTORIA!!! 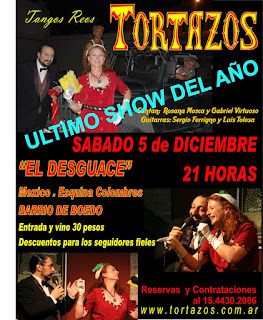 AFICHES DE TORTAZOS A LO LARGO DE LA HISTORIA!!! 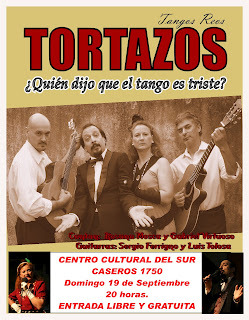 LA LARGA CARRERA DE TORTAZOS, QUE YA LLEVA DIEZ AÑOS RECORRIENDO LOS ESCENARIOS PORTEÑOS, DEJÓ ADEMÁS DE UN REGUERO DE PÚBLICO AGRADECIDO UNA SERIE INTERMINABLE DE AFICHES PUBLICITANDO SUS PRESENTACIONES... AQUÍ UNA SELECCIÓN DE LOS MISMOS QUE NOS LLENA DE EMOCIÓN Y DE ALEGRÍA PUES NOS ARREMETEN LOS RECUERDOS DE LA GRAN PROMESA QUE FUIMOS EN EL PASADO!!! 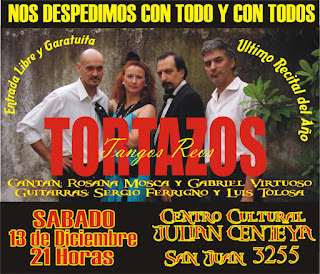 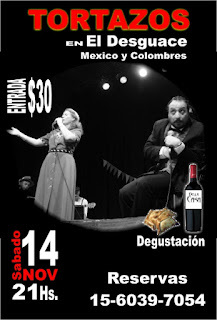 RECITALES EN EL CENTRO CULTURAL JULIÁN CENTEYA DE BOEDO!!! 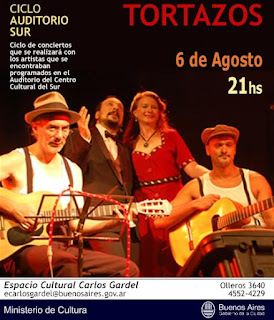 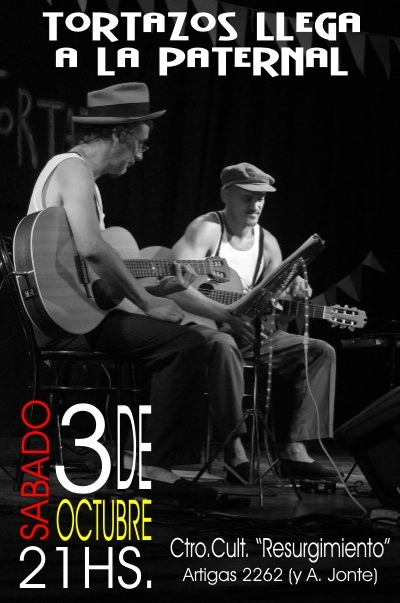 ¿CUÁNTAS VECES NOS COBIJO EL CENTRO CULTURAL DEL SUR? ¡¡O EL CENTRO CULTURAL RESURGIMIENTO en LA PATERNAL!! Y NO HABLEMOS DEL TEATRO "EL DESGUACE" QUE SE INAUGURÓ CON NUESTRA PARTICIPACIÓN Y DEL QUE HEMOS SIDO ANIMADORES Y HABITÚES INNUMERABLES VECES!!! ¡¡Y EN EL ABASTO EN LOS PAGOS DE CARLOS GARDEL TAMBIÉN DESCOLLO TORTAZOS EN "EL MOROCHO DEL ARRABAL" ! !